Quality supply from an accessible location fits customer schedules. 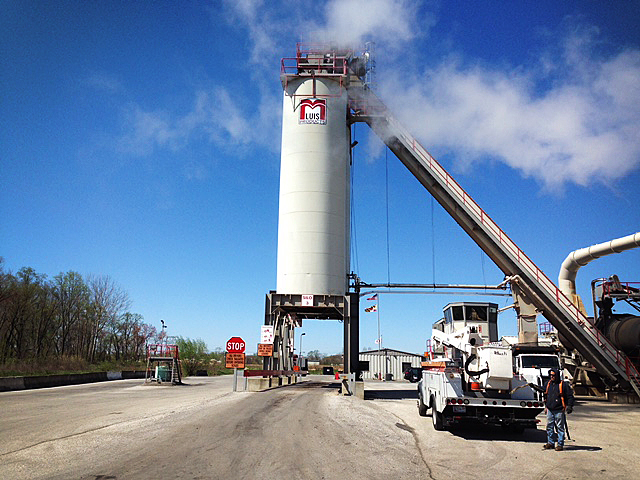 Produces up to 300 tons of asphalt per hour. Storage capacity of 900 tons. Can open early, stay late and produce 24/7 upon request. Green supplier with asphalt made from recyclable materials. American-made plant and lab equipment, U.S.-sourced quarry stone and sand. In-house MDOT-certified laboratory and highly trained personnel. As always, M. Luis fosters a culture that is service-oriented, responsive, and driven by a commitment to safety and quality.